There is a substance called sulforaphane (also called SFN) found in cruciferous vegetables and especially in broccoli sprouts. 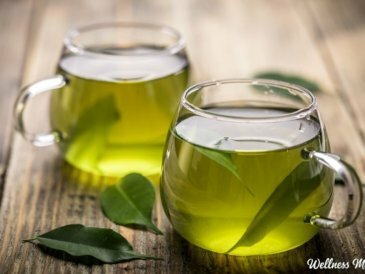 It is well studied to be anticancer, antimicrobial, anti-inflammatory, neuroprotective, and may even protect against aging and diabetes. The best part? We don’t need high-priced supplements to get this important phytochemical, we just need to eat certain veggies like broccoli sprouts. Want to skip the science and just get started growing broccoli sprouts? 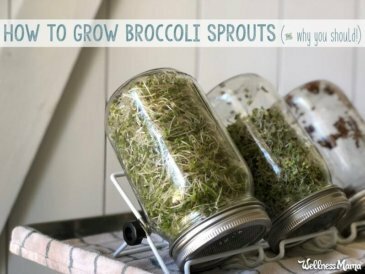 Check out this tutorial for growing broccoli sprouts in your kitchen for pennies. 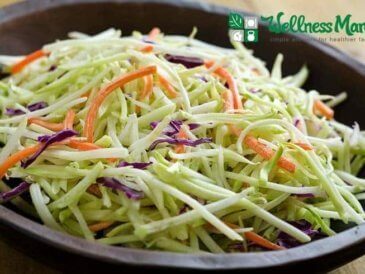 Sulforaphane (SFN for short) is a potent cancer-fighting and antibacterial compound found in cruciferous vegetables and sprouts. Sulforaphane is created when the enzyme myrosinase transforms the glucosinolate glucoraphanin into sulforaphane. Since myrosinase and glucoraphanin are found in different parts of the plant, this change happens when the plant is damaged (by chewing, blending, chopping, etc.) allowing the two compounds to mix and react. Young sprouts of broccoli and cauliflower are particularly good sources of glucoraphanin. More specifically, sulforaphane is part of a group of plant-based disease-fighting phytochemicals called isothiocyanates. In the body, sulforaphane stimulates the production of important enzymes that neutralize free radicals. Since inflammation and free radicals get the blame for many types of cancer, this is a big deal. Isothiocyanates also seem to block certain cancer-activating enzymes in the body, creating a double protection. support the brain and digestive system. Sulforaphane is found in cruciferous vegetables including broccoli, cauliflower, Brussels sprouts, cabbage, collards, kale, bok choy, kohlrabi, turnip, collards, arugula, watercress, radish, and mustard greens. Broccoli sprouts have the highest identified concentration of sulforaphane. All green veggies serve an important purpose and you’ll have a hard time finding any doctor or health expert who would say eating green veggies is not a good idea (short of very specific health conditions). In fact, there are few things that all dietary experts seem to agree on, bu the importance of eating veggies is one of them (along with sleep and reducing stress). Cruciferous vegetables have many health-promoting properties, and sulforaphane is yet another reason why! 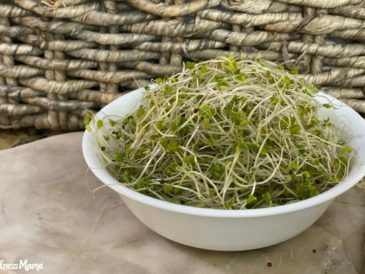 To just say that broccoli sprouts contain sulforaphane is an over simplification (though I will stick to that for the rest of the post for the sake of simplicity). More accurately, Brassica vegetables contain myrosinase, which helps break down glucosinolates like glucoraphanin into usable forms of isothiocyanates including sulforaphane. Both myrosinase and glucoraphanin are present in cruciferous veggies and especially in broccoli sprouts. When we chew, chop or blend raw sprouts, they combine and create sulforaphane. In other words, broccoli sprouts contain the compounds needed to create sulforaphane. stopping and reversing hair loss. Sulforaphane in broccoli sprouts boosts the body’s natural detoxification mechanisms in several ways. As an indirect antioxidant, it boosts the antioxidant capacity of cells rather than just by providing antioxidants (like astaxanthin and similar antioxidants do). Sulforaphane activates the Nrf2 and ARE pathways (more on these below). This leads to increased cellular glutathione in the body. Since glutathione is the master antioxidant, this has far-reaching benefits for the body. Sulforaphane is also really, really good for the brain. It is considered a nootropic (brain-boosting substance) because it has the ability to cross the blood-brain barrier. Studies are underway in humans after mouse studies showed that this compound reduced depressive symptoms and anxiety. Other studies found that it increases neurite growth. This means that it may help damaged neurons repair after injury or from aging. Additionally, randomized, double-blinded, placebo-controlled studies in humans have shown that sulforaphane may have the ability to improve autistic behavior checklist scores by 34%! The studies also showed improvement in social interaction and verbal communication in patients with autism spectrum disorder. We already know that Brassica vegetables help protect against cancer. In fact, eating just 3-5 servings a week reduces cancer risk by 30-40%, according to studies! This drastic reduction in cancer risk is a great reason to eat these veggies daily, but there are other cancer-protective benefits as well. 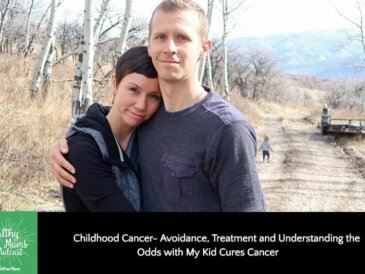 increase the efficacy of anti-cancer drugs (meaning a lower dose can be used). We already know that sulforaphane is a potent antioxidant and that it increases the body’s own antioxidant producing capabilities. For this reason, it is very anti-inflammatory and can reduce reactive oxygen species by increasing oxygen levels. Both of these mechanisms make it good for the heart and may explain why studies show it has a heart-protective effect. But sulforaphane also benefits the heart in a couple other ways. It releases hydrogen sulfide (H2S), when chewed. This compound donate sulfur where necessary and for this reason has a cardio-protective effect. Studies also found that it helped reduce blood pressure levels in those with hypertension and lowered triglycerides. Finally, sulforaphane reduced levels of total cholesterol, LDL-C, CRP, and LDH (in animal trials). Perhaps one of the biggest benefits of SFN is the activation of Nrf2. This benefit is tied to many of the benefits above, but deserves its own mention. A special protein called Nrf2 lives in every cell of the body. When activated (by stress), it binds to ARE (Antioxidant Response Element), which is the switch that controls antioxidant production in the body. So when Nrf2/ARE activates, your body starts making glutathione and other antioxidants. 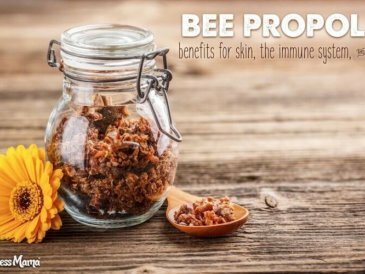 This reduces inflammation and helps the body protect against disease. Sulforaphane is a potent Nrf2 activator. As an Nrf2 activator, sulforaphane may also promote weight loss by “amelioration of obesity through enhancing energy consumption by browning of adipocytes, and reduction of metabolic endotoxemia through improving gut bacterial flora,” according to a 2014 study at Kanazawa University. In other words, sulforaphane helps fight obesity by changing energy consumption in the body and by improving gut flora. Sulforaphane activates heat-shock proteins in the body, especially HSP27. Heat-shock proteins can help slow aging and improve brain function. Sauna use also activates heat-shock proteins but chowing down on some broccoli sprouts is a good way to up levels of these proteins without the heat. One study by the National Academy for the Sciences (U.S.) shows SFN mobilizes defenses that protect against cellular damage from UV light. This is why I increase my broccoli sprout consumption in the summer, so I can get the benefits of Vitamin D from the sun without worrying about aging more quickly from the sun exposure. SFN supports the liver by reducing oxidative stress. It also may improve alcohol tolerance and reduce the negative effects of alcohol by inducing aldehyde dehydroenases. As you would expect, SFN can reduce inflammation and pain due to its antioxidant-boosting activity. But studies show that sulforaphane can have specific benefit against pain and inflammation when combined with high-quality turmeric or concentrated curcumin. I personally have been experimenting with SFN from broccoli sprouts (about a cup a day) and also taking PuraThrive liposomal turmeric (use code “wellnessmama” for 10% off). Dihydrotestosterone (DHT) suppresses hair growth and leads to androgenic baldness. SFN increases the production of enzymes in the body that break down DHT. In studies, SFN reduced DHT levels in the blood and reverse the suppression of hair growth. There had to be a catch, right? Things that sound too good to be true often are. Thankfully, when it comes to sulforaphane and broccoli sprouts, the risks seem minimal compared to the benefits. We still need more human studies on sulforaphane to know the long-term effects. Initial studies are divided. Some show no negative effects even at large doses. Other show an increase in long terminal repeats (LTRs) which may lead to mutations within genes. Interestingly, most negative effects were found from mature broccoli or broccoli juice. For instance, one study on mature broccoli noted genotoxic effects at high doses, but the same results were not seen with broccoli sprouts. In another, a rat suffered liver toxicity after drinking extremely high doses of broccoli juice. Anecdotal evidence shows that some people experience minor gastrointestinal discomfort when eating large doses of broccoli sprouts. Some experts speculate that this is from positive changes in gut bacteria, but it is still a good idea to start slow. It is always a good idea to talk to a doctor before making any major dietary or supplement change and sulforaphane is no exception. SFN may interact with certain medications that are broken down by the liver and may be contraindicated in certain people. Additionally, there are rare cases of foodborne illness from sprout consumption (only 30 cases in the last 30 years so the risk is small but present). The warm, moist conditions needed for sprouts to grow are also idea for Salmonella and E. coli. For this reason, sources recommend that pregnant women, very young children, and the immunocompromised avoid sprouts. Personally, I feel safe eating broccoli sprouts, but as I said, the risk is real and anyone considering eating sprouts should do their own research and assess the risks. Studies only showed negative effects from large amounts of sulforaphane. As with many things in life, moderation seems to be key. For this reason, I personally don’t juice cruciferous vegetables or sprouts and stick to moderate amounts of a cup a day or less. Whew … we made it through the science! 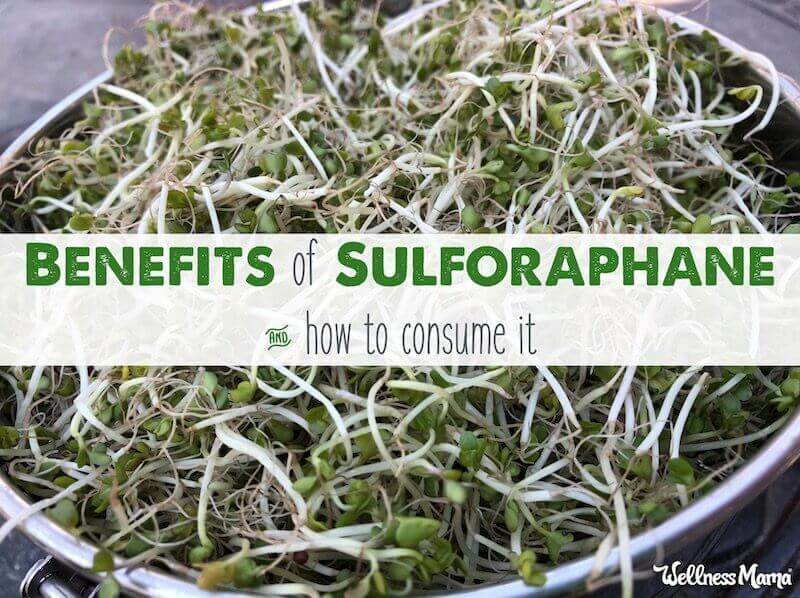 I personally find sulforaphane absolutely fascinating (along with the 1,700+ studies about it), but even if you aren’t interested in the science, here are some tips for getting more of this important phytochemical. So if all cruciferous vegetables contain sulforaphane, why not just eat mature broccoli and other veggies? Good question! Basically, because you likely aren’t getting any sulforaphane. The reason has to do with the concentration of certain phytochemicals and the temperature. Sprouts, especially broccoli sprouts contain up to 100 times higher concentrations of glucoraphanin and sulforaphane than the mature plants. These levels spike on day three of sprouting, making three-day-old broccoli sprouts one of the best sources on the planet. Bonus? Broccoli sprouts are likely also the least expensive source of sulforaphane on the planet! I’ve found broccoli sprouts in stores before, but they are much more expensive than homemade. Even if you can’t cook and don’t have a green thumb, you can grow sprouts. Here’s how to do it. Sulforaphane isn’t produced when vegetables are cooked above 158 degrees Fahrenheit. The heat deactivates the enzyme myrosinase needed for sulforaphane production. No myrosinase = no sulforaphane. Raw broccoli and other cruciferous vegetables contain small amounts of these phytochemicals (though at much lower concentrations). Frozen or commercially produced broccoli, on the other hand, is often blanched in production. For this reason, frozen broccoli often has no potential for sulforaphane production. Chop them and then let them rest for about 5 minutes before cooking. Cutting them damages the plant and lets the enzymes start to combine to create sulforaphane. Then, steam lightly for 3-4 minutes to preserve the most SFN. I recently heard a great tip on Dr. Rhonda Patrick’s podcast (see video at bottom of this post) for getting sulforaphane even from frozen or cooked cruciferous vegetables: adding mustard seed powder. We know that the enzymes are deactivated with heat when frozen vegetables are blanched, but it turns out that mustard seeds, which grow into mustard greens (a cruciferous vegetable) can fix the problem. Since mustard seeds also contain myrosinase, sprinkling mustard seed powder on cooked cruciferous vegetables can re-activate their ability to create sulforaphane. A 2013 scientific study confirmed that this process works! Bottom line: Whenever you cook cruciferous vegetables (from fresh or frozen), add a sprinkle of mustard seed powder. Sulforaphane supplements are springing up everywhere, but I personally stick to veggies and fresh sprouts. I’ve always been a fan of getting nutrients from food whenever possible, but in this case, it is likely much more effective too. Studies show that SFN supplements are much less bioavailable than fresh sources. This makes sense when we understand the complex interaction needed between myrosinase and glucoraphanin that creates sulforaphane. Without this complex interaction, it is hard for the body to effectively use sulforaphane. Nakamura K, Koyama M, Ishida R, Kitahara T, Nakajima T, Aoyama T. Characterization of bioactive agents in five types of marketed sprouts and comparison of their antihypertensive, antihyperlipidemic, and antidiabetic effects in fructose-loaded SHRs. J Food Sci Technol. 2016;53(1):581-90. Senanayake GV, Banigesh A, Wu L, Lee P, Juurlink BH. The dietary phase 2 protein inducer sulforaphane can normalize the kidney epigenome and improve blood pressure in hypertensive rats. Am J Hypertens. 2012;25(2):229-35. Talalay P, Fahey JW, Healy ZR, et al. Sulforaphane mobilizes cellular defenses that protect skin against damage by UV radiation. Proceedings of the National Academy of Sciences of the United States of America. 2007;104(44):17500-17505. doi:10.1073/pnas.0708710104. Abbaoui B, Riedl KM, Ralston RA, et al. Inhibition of Bladder Cancer by Broccoli Isothiocyanates Sulforaphane and Erucin: Characterization, Metabolism and Interconversion. Molecular nutrition & food research. 2012;56(11):10.1002/mnfr.201200276. doi:10.1002/mnfr.201200276. Royston KJ, Tollefsbol TO. The Epigenetic Impact of Cruciferous Vegetables on Cancer Prevention. Current pharmacology reports. 2015;1(1):46-51. doi:10.1007/s40495-014-0003-9. Cheung KL, Khor TO, Kong AN. Synergistic effect of combination of phenethyl isothiocyanate and sulforaphane or curcumin and sulforaphane in the inhibition of inflammation. Pharm Res. 2009;26(1):224-31. Clarke JD, Hsu A, Riedl K, et al. Bioavailability and inter-conversion of sulforaphane and erucin in human subjects consuming broccoli sprouts or broccoli supplement in a cross-over study design. Pharmacol Res. 2011;64(5):456-63. Shapiro T, Fahey J, Wade K, Stephenson K and Talalay P. Chemoprotective Glucosinolates and Isothiocyanates of Broccoli Sprouts. Cancer Epidemiol Biomarkers Prev. May 1 2001;10(5):501-508. Sasaki M, Shinozaki S, Shimokado K. Sulforaphane promotes murine hair growth by accelerating the degradation of dihydrotestosterone. Biochem Biophys Res Commun. 2016;472(1):250-4. Gan N et al. “Sulforaphane Activates Heat Shock Response and Enhances Proteasome Activity through Up-Regulation of Hsp27.” The Journal of Biological Chemistry 285.46 (2010): 35528–35536. PMC. Web. 12 Mar. 2018. Kikuchi M et al. “Sulforaphane-Rich Broccoli Sprout Extract Improves Hepatic Abnormalities in Male Subjects.” World Journal of Gastroenterology 21.43 (2015): 12457–12467. PMC. Web. 12 Mar. 2018. Baier, Scott R. et al. “Off Target Effects of Sulforaphane Include the de-Repression of Long-Terminal Repeats through Histone Acetylation Events.” The Journal of Nutritional Biochemistry 25.6 (2014): 665–668. PMC. Web. 13 Mar. 2018.